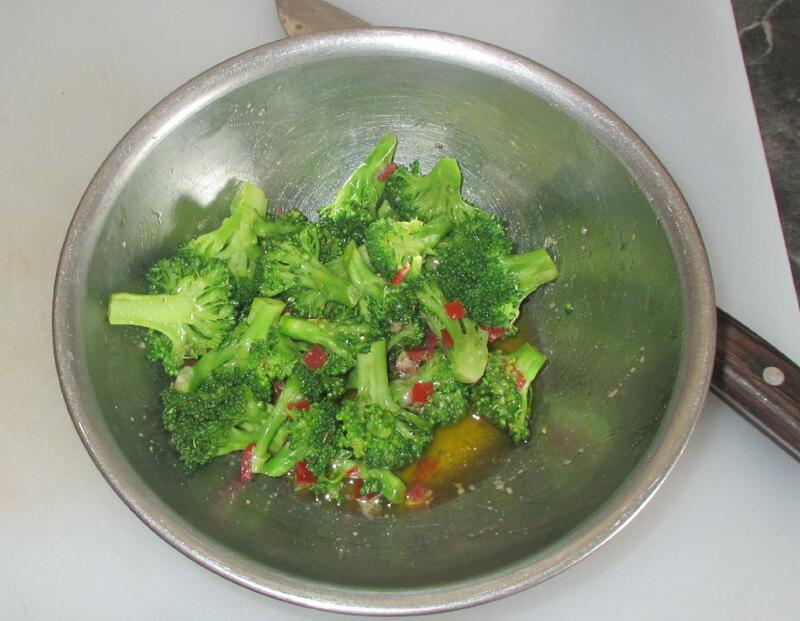 Use fresh Thyme if you can, but increase the amount to about 1 tsp. of the chopped leaves. 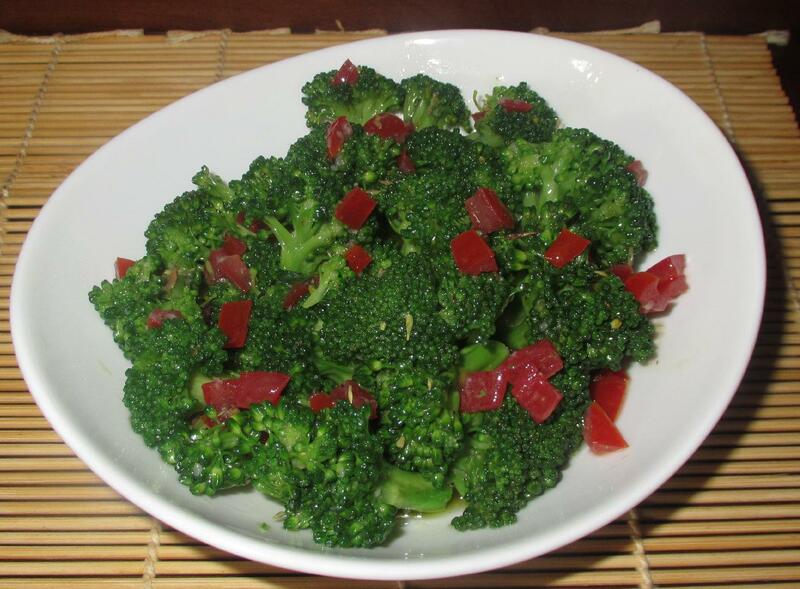 Blanching the broccoli is essential to the success of this dish. The process not only improves the textural quality, it also preserves and enhances the natural green color of the fresh article. I have explained the general procedure elsewhere but, essentially, you just need to briefly parboil the veggie in question in boiling salted water and then plunge it into cold water to arrest the cooking. You can blanch the florets alone, if you like, in which case, you just need to leave them in the boiling water for no more than a minute. 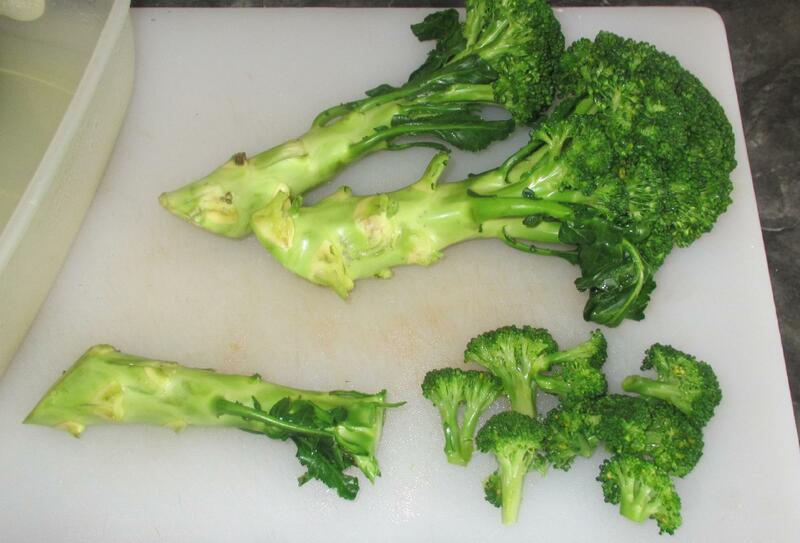 Today, however, I am blanching the several ‘branches’ of broccoli in one operation (stems and florets together) as I will be doing two separate dishes using florets and then using the broccoli stems elsewhere. As such, I will hold the stems in boiling water for a good minute or two and then submerge the rest of the head for a final minute before removing to ice cold water to cool. Next, de-seed the tomatoes and cut the flesh into very tiny dice. 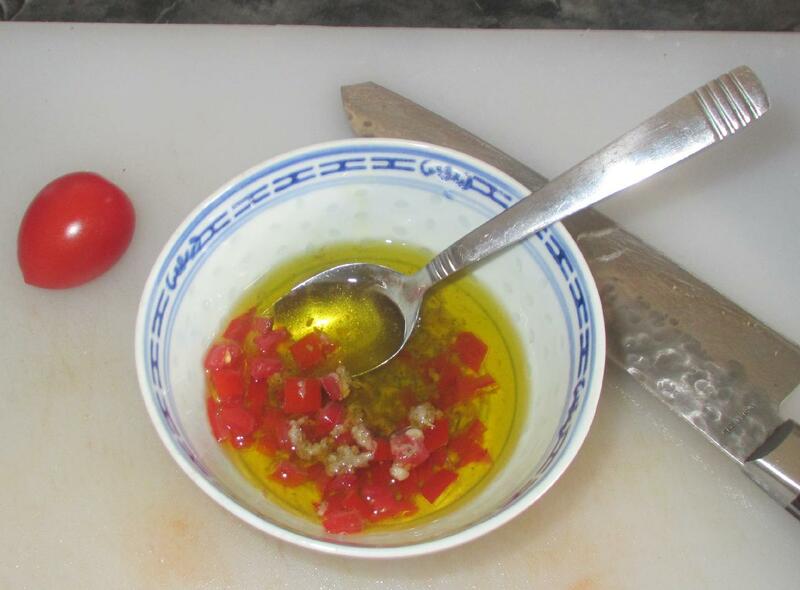 Mix the garlic puree and anchovy paste together with the salt, pepper and thyme, and then stir these into the oil along with the diced tomato.